﻿﻿﻿﻿Rare and unusual French Art Deco corner coat closet from a Parisian cafe. 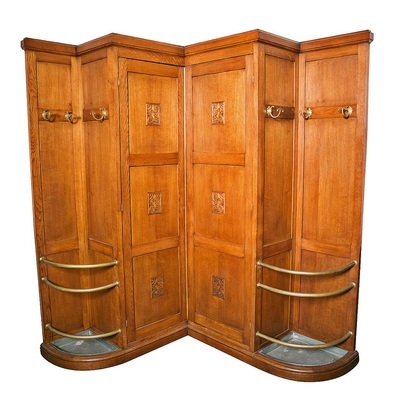 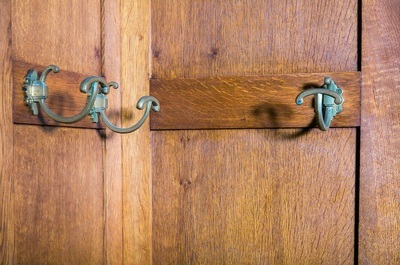 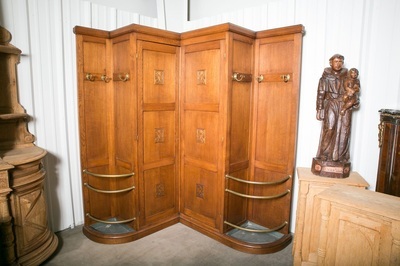 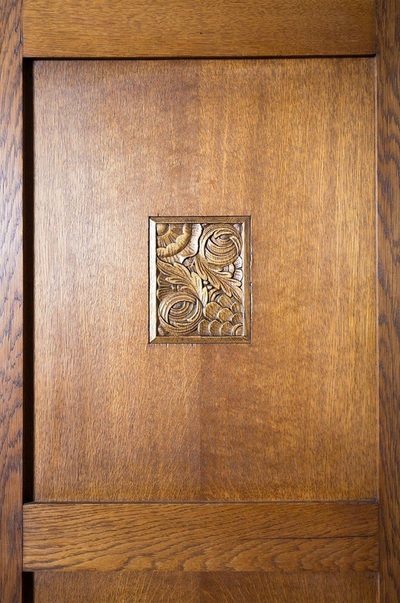 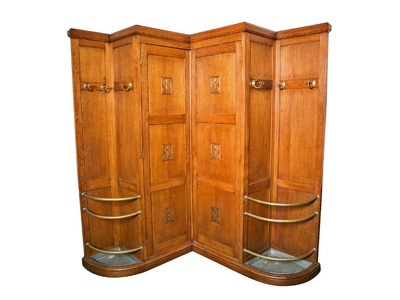 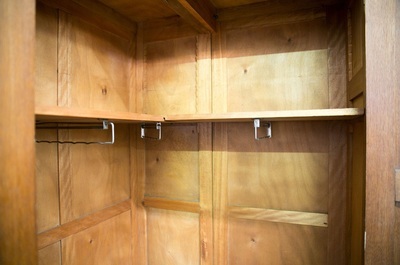 Triple panel center doors with carvings open to closet area with single shelf and hangers. 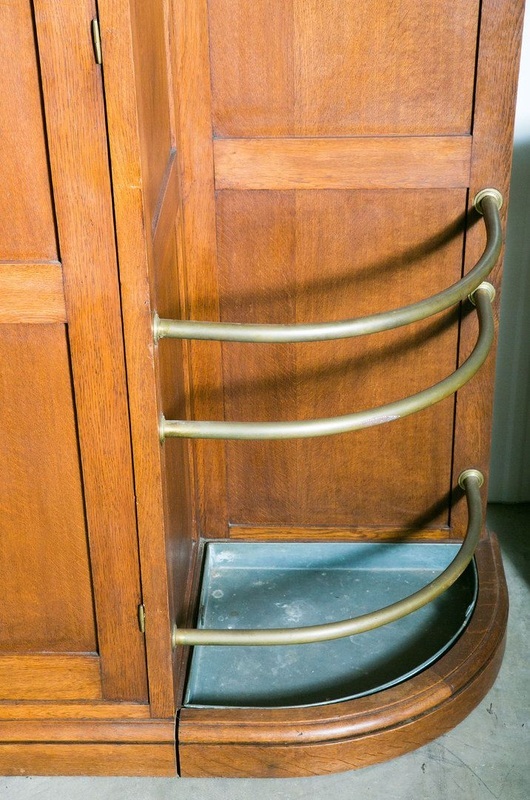 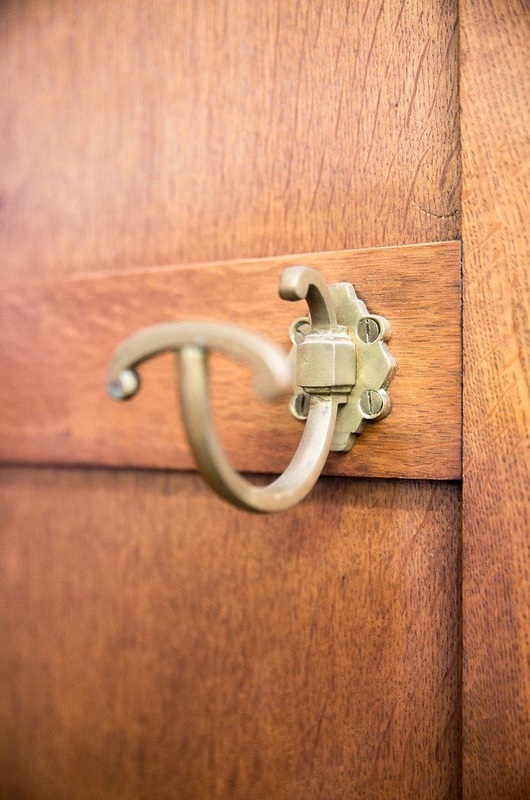 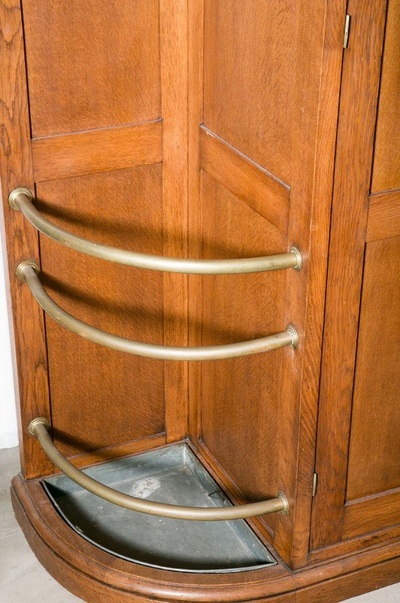 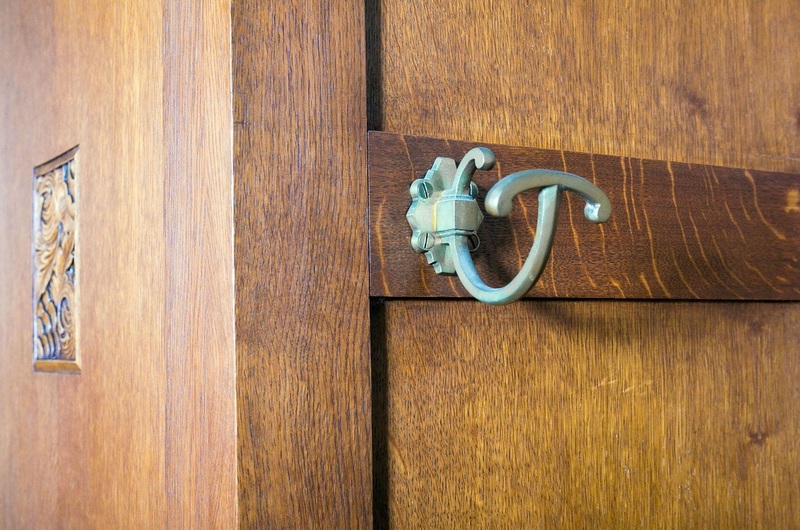 Each side compartment features an umbrella stand with original brass railings, drip pans and brass hat hooks. Many uses. 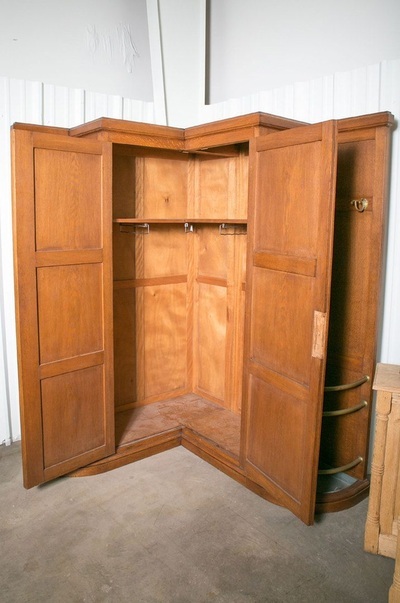 left corner d - 56"
right corner d - 65"